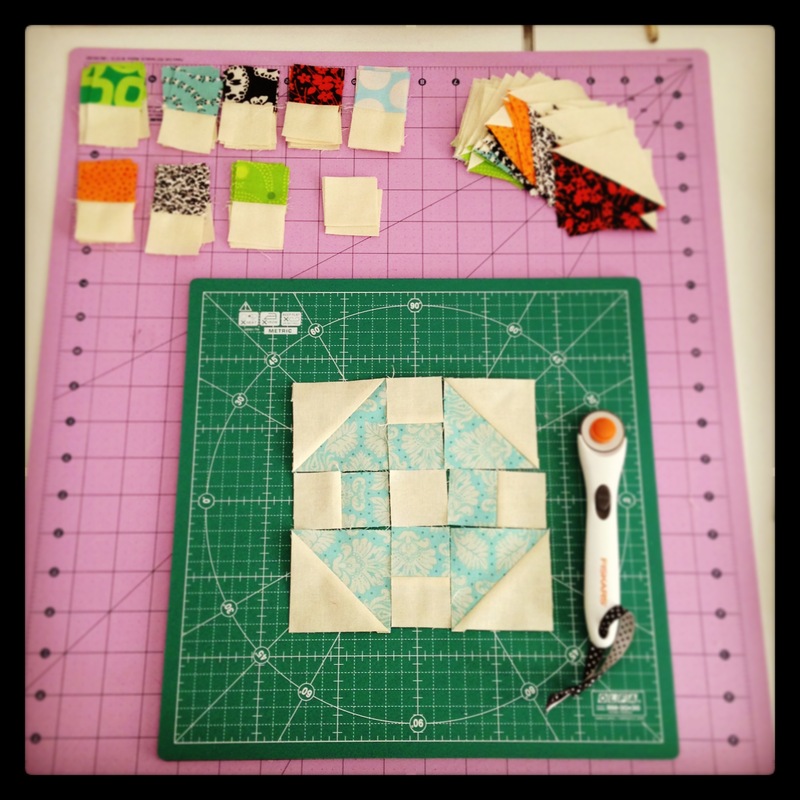 Manic for Mini Quilt Blocks! A few weeks ago, I had a hankering to immerse myself into making some traditional blocks. So I whipped out my 130 Mini Quilt Blocks book by Susan Briscoe and found the Double Wrench block hiding in the Country Classics chapter. 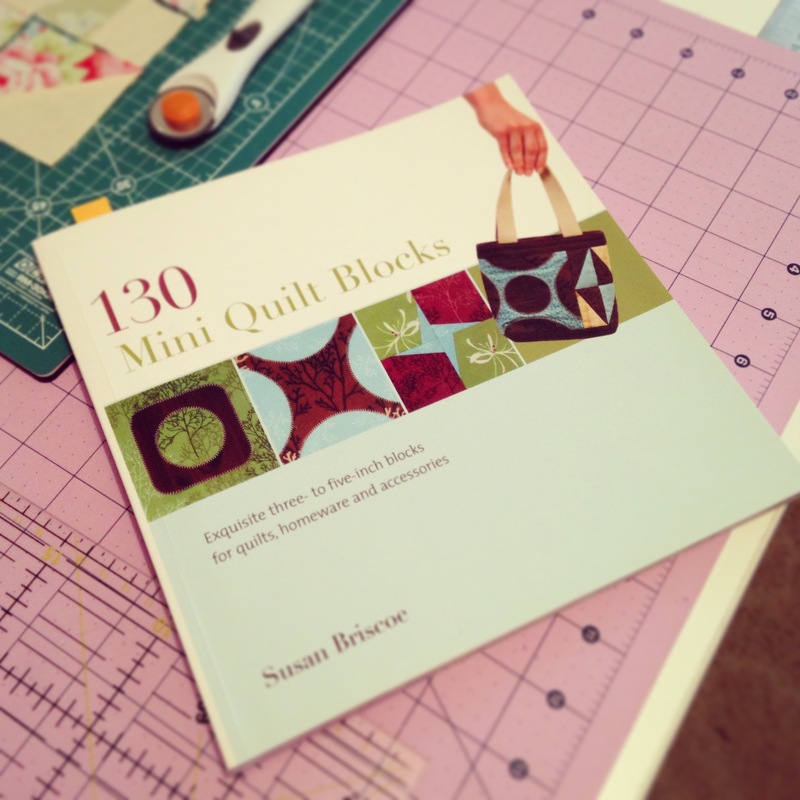 A must-have book for any quilter’s library! ‘That’s the one I want to do!’, I whispered to myself. 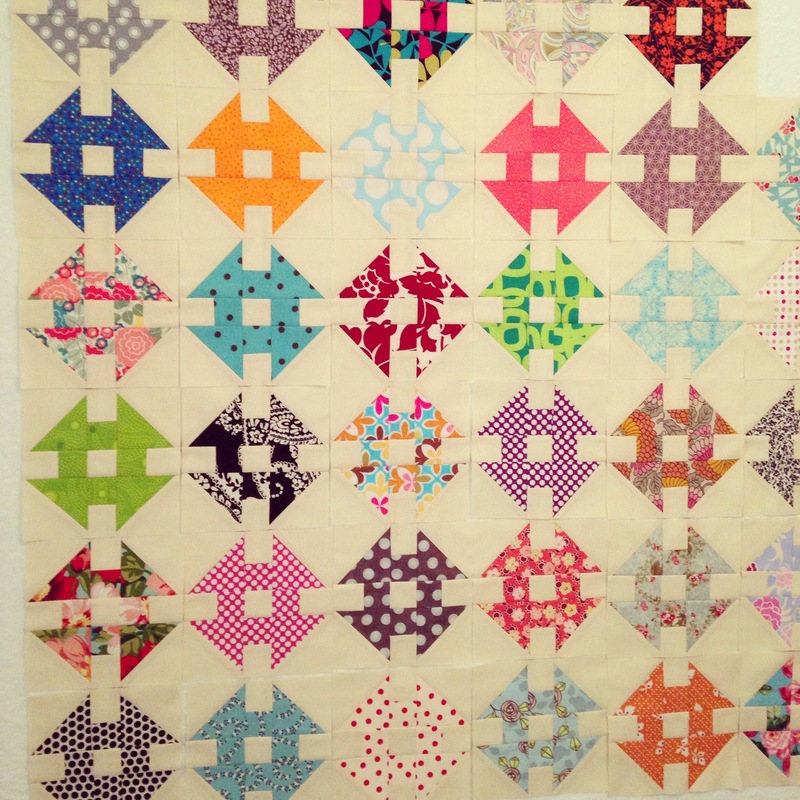 I plan to create a quilt that predominately features a traditional block design but is constructed with bright and colourful modern fabrics that have differing scaled prints and designs. Blocks lined up like little soldiers! So far I’ve made 35 14cmx14cm (5 ½ inch) squares with 7 more to go to complete the size quilt I want. 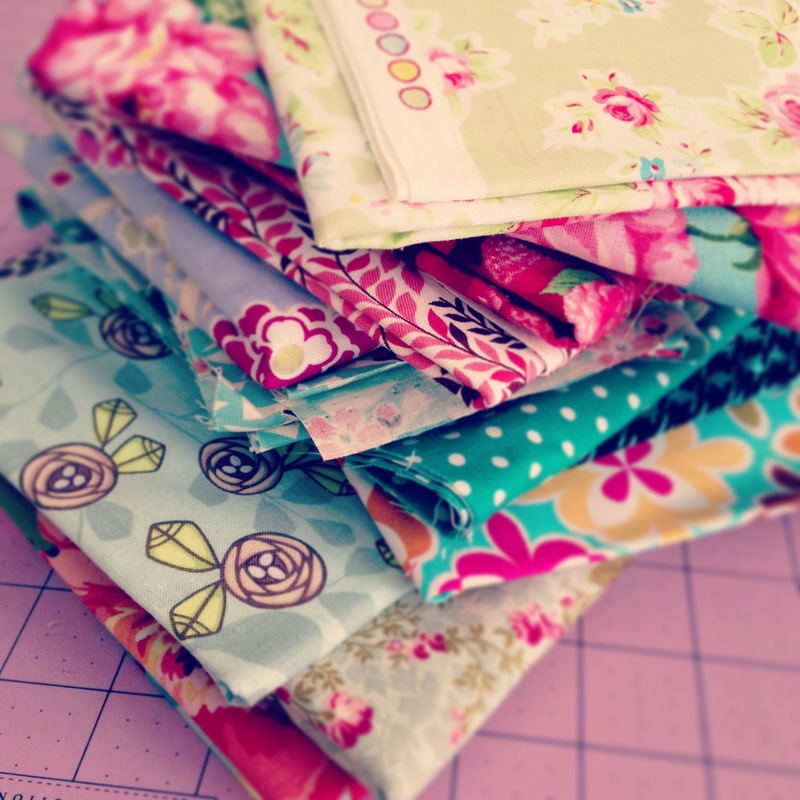 A sweet pile of fabric goodness! 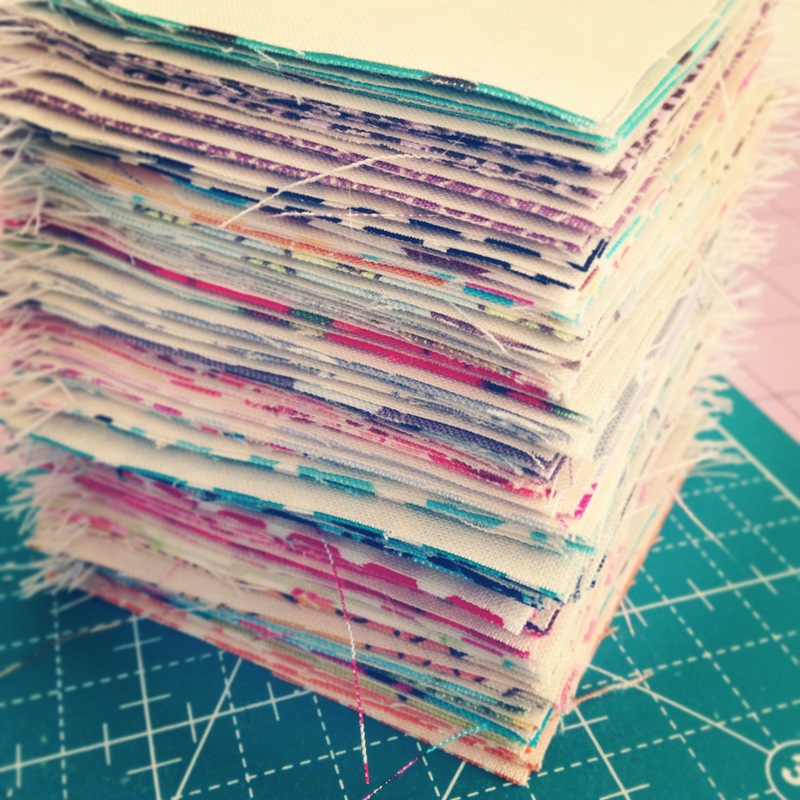 Freshly cut and pieced mini HSTs…ah, such delight! 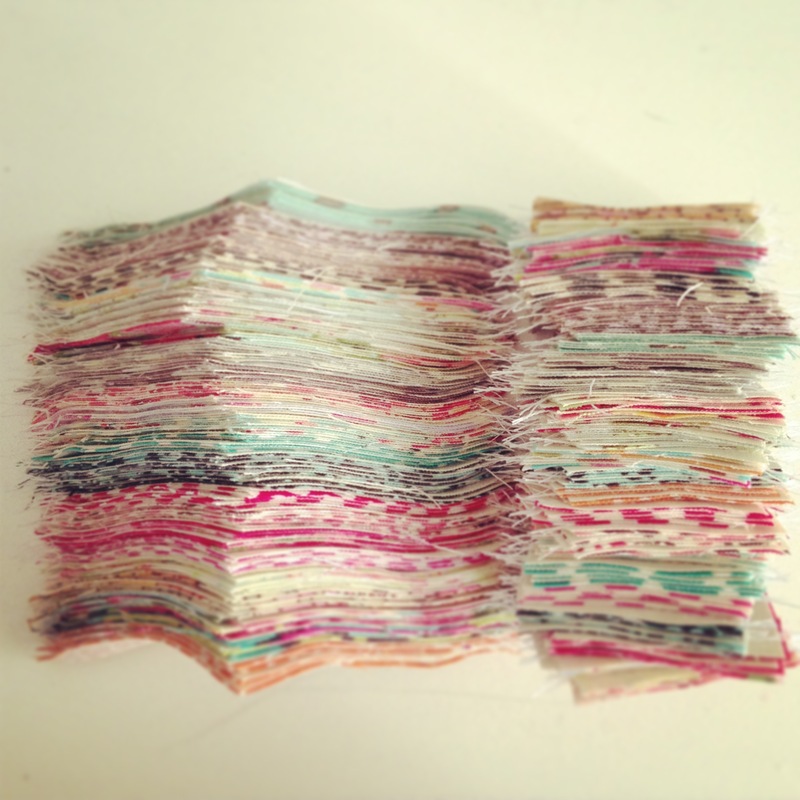 Mini units ready to be ironed and pieced together! The construction of these blocks are easier than you think and I find that as soon as I’ve begun making one, I was onto constructing the next within minutes! My set up | Organisation is the key to success! So when time permits, I’ll sew up the last 7 blocks, piece them altogether and save and save and save for some batting and then get this baby quilted and bound! Wolfie, your littlle blocks are just so cool! They look simple enough, and your organization is fabulous. Can’t wait to see the finished quilt! Thanks for your awesome comment! 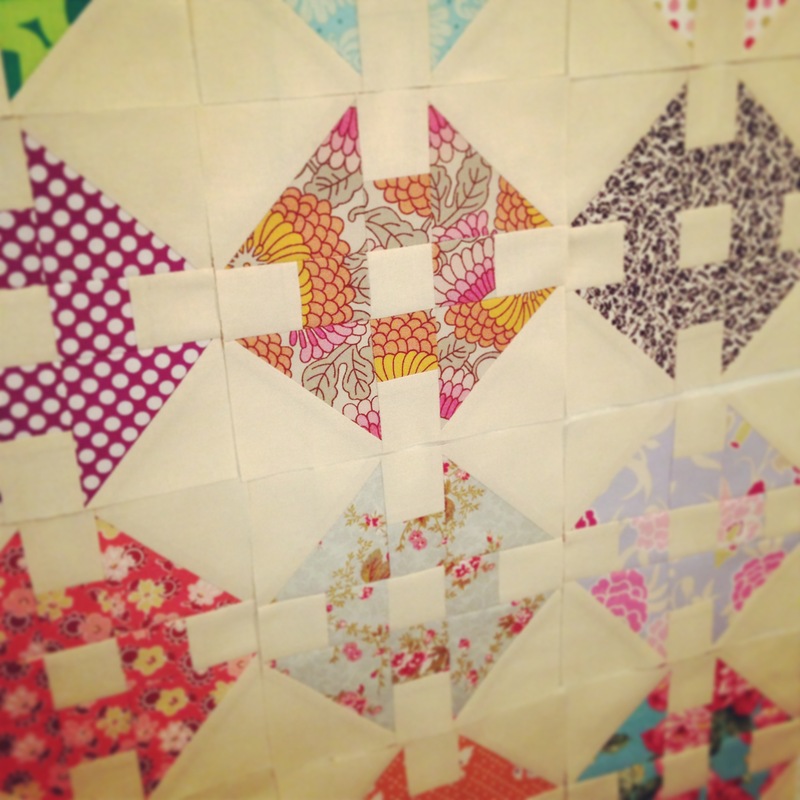 I can’t wait to see the finished quilt either!